Wouldn’t we all love to not have a figurative axe swinging over our heads? If you look closely on the handle, it says ‘job redundancy’. That old familiar feeling of losing a job and not having any control to stop it from happening has plagued many of our minds most of our lives. And it’s true, your worries are justified so don’t start thinking you’re worrying over nothing. The economic crash in 2008 showed us that there are very few jobs that are recession-proof. At any time, your job could go onto the chopping block as companies change, make cuts, and throw a role into another and merge them to only need one worker instead of two. There are endless reasons for why most jobs are able to be squashed when they are needed to, but none of them satisfies us when we have been let go. So that begs the question, should we turn away in anger at experts who talk about ‘job security’? Don’t get emotional about economics, it’s purely logical. Ask yourself what is really needed for society to keep functioning? Food, water, and power. So, any job that is necessary in these fields will be saved by almost anything to hit a company or economy. Jobs like trucking will never die because hauling loads is needed for businesses to survive. They need their freight to be delivered so they can keep functioning, providing a service or products to their customers, and maintaining certain parts of the national structure. Check out the knight transportation near me and see what kind of jobs could give you this security that cannot fail no matter what happens. They have training courses that can lead you onto different kinds of trucking jobs. Once upon a time when you were considered a veteran in a company, you were spared from any kind of cuts. However, nowadays companies cannot play favorites if they want to compete. Therefore, if you are one of the longest standing workers in your company, don’t consider yourself safe. What business leaders want is commitment and performance. In this regard, you’re only as good as your last working day, week, or month. They require everyone to be working their best and showing results for their actions. Even if you have worked for the same company for decades, you need to keep your job performance levels high all of the time – and, perhaps, even higher than the average worker seeing as you’re more experienced. A new wave of jobs are coming onto the market that may be swapping security with competition. Freelance roles around the world that are mainly online remote working are giving anyone with the skill and commitment the chance to earn good money when they want to. From writing professional CVs for clients, reviewing products that get sent to you, testing online services for companies in the build phase, and even writing hotel reviews after being paid to be a guest for a few days are just some of the jobs being created. Job security was true once upon a time, then, it sadly became a myth and now it seems to be making a comeback but in a completely different way. The bottom line is, never rely on your job title or time served to be spared from cuts and recessions and keep working hard to stay in a positive light. This is one of the fastest-growing areas of Texas, and it has a good community spirit. Thanks to the city’s proximity to Ray Hubbard and Lavon lakes, your family can enjoy a day out in the swimming spots and hiking trails in the area. The crime rate in Wylie is well below the national crime rate, which makes it a great place to raise your children. If you move to this city, you are likely to find a job because it has a low rate of unemployment as well as a booming economy. If you want to enjoy the perks of a big town in a small one, North Arlington is the place to be. Situated just fifteen miles from the financial district in NYC, this location will give you an ideal home base with low crime rates and great schools. The town boasts a high academic record and a very high graduation rate. In good weather, you can head to the 85 acre Riverside County Park with your kids. And, on cold and wet days, you can head to Secaucus outlets to enjoy some shopping. This small city of about 86,000 people is located sixteen miles from Indianapolis. Redevelopment projects that total 90 million dollars have made this city an attractive location for entrepreneurs who are looking to relocate. But, if you are moving to Fishers, you should not expect all work and no play. The recently developed downtown has a number of boutiques and restaurants, which makes it a perfect weekend spot. Moreover, this city has 104 miles of multi use trails and nature as well as 24 parks. During the winter, you can head to Flat Fork Creek Park, which is an ideal spot for sledding because of its high peaks. This Denver suburb is a quick light-rail ride or drive into the city, which makes it the ideal location for people who commute to work. Despite its small size, this town is home to a huge shopping center called Park Meadows Mall and an art center that hosts regular dance performances. With high school graduation rates at more than 90%, you will not have to send your children to schools outside of the town. There are also low crime rates in Lone Tree, making it great for bringing up children. If you are browsing homes using a website like this, you should always ensure that they are in a relatively safe area first. This location is just a few miles from downtown L.A, which makes it easier to commute through the expensive Los Angeles area. Within the borders of this small city, your children can enjoy recreational activities in a dozen parks. The high graduation rates in Monterey Park don’t hurt either! This region is a foodie heaven, thanks to its ethnically diverse population. Monterey Park also honors the different cultures in the area by holding several special events throughout the year. Whether you want to live in a premiere destination in the Bay Area or a rural area, you should make sure that the place has low crime rates and good schools before anything else. For most people, home security is the main concern for maintaining a safe property. Burglars are smarter than ever, but modern surveillance systems should keep them at bay. Moreover, the fact that those devices can be monitored from smartphones allows you to gain that peace of mind on a 24/7 basis. A good relationship with the neighbors can help too, but taking matters into your own hands should be the priority. Secured doors and windows should consequently gain huge attention, as well. While burglars may be the main concern, reality suggests that weather damage is just as likely. On the one hand, all homeowners are at the mercy of Mother Nature. Nonetheless, several precautions can still be taken to reduce any damage. 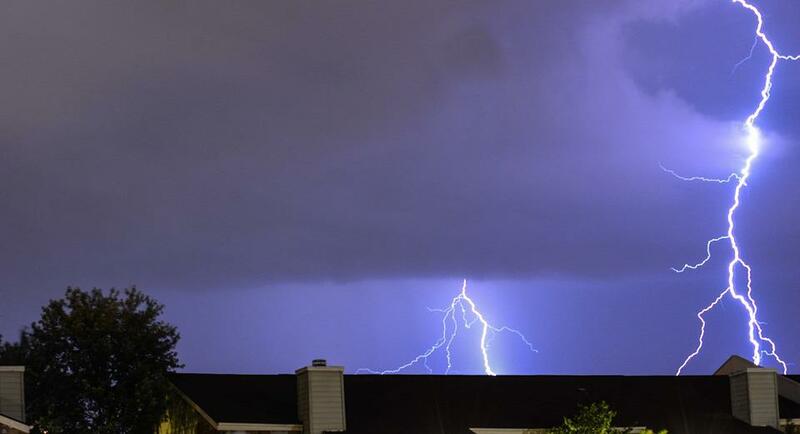 Prevention will always be the best form of protection, and knowing how to defend the home against storms is key info. Likewise, flood barriers and similar products can be crucial investments for the future safety of the property. Wear and tear is a natural thing that all homeowners will encounter at one stage or another. Many of those are fairly minor issues, but leaving them untreated can allow them to escalate. Calling a plumber to deal with your leaks or learning how to treat damp patches is crucial. Not only will this put your mind at ease, but it will also save money while keeping the home safe. On a separate note, smoke alarms and carbon monoxide detectors can protect the property as well as the family, too. Maintaining a safe home isn’t simply about preventing damage to the property. This is a place for your family to live and grow. To do this in the best manner, you’ll want to keep the home clean and tidy. Nobody wants to dedicate their lives to cleaning the home, which is why these simple tricks can have a huge impact. When coupled with the latest gadgets and appliances, you’ll remove the threat of picking up minor illnesses from germs in the home. Whether we like to admit it or not, the biggest threats to our properties come from our own actions. This becomes increasingly apparent when kids are involved, which is why you must pay attention to the idea of childproofing. It’s impossible to keep your eyes on everything that the children do. From keeping consumables out of reach to covering electrical points, those small steps make a big impact. If you’ve completed the other tasks too, a safe and happy home is virtually assured. Your home should be a peaceful getaway and the above steps will help it stay that way! A burglar can enter your house relatively undetected if you don’t have exterior lighting. Motion sensing lighting is the best option – it will only turn on when there’s activity below, saving you power and offering you protection from someone sneaking around. Windows and doors with loose hinges or weak frames could be easy to break through. You should make repairing and replacing these a priority, especially if these weaknesses are visible from the outside. Locks on the inside of your windows and doors can also help. 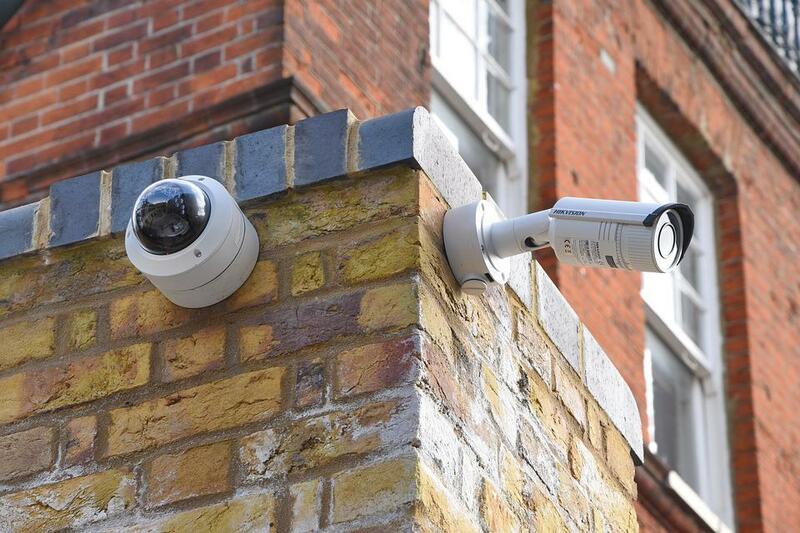 Security camera installation is an effective way of scaring off burglars. No burglar wants to be caught on camera, and they may immediately move on to the next property. Make sure that the camera is placed in the best possible location – a burglar may try to exploit a blind spot. A small fence that’s easy to scale could be an excellent entry point for a nimble burglar. Adding latticing to the top of your fence can make it harder to climb. You can also consider anti-climb paint. You should be wary of onlookers being able to see through your window, particularly if you live on a busy street. Burglars may try to take a peek inside your home to see what valuables you may have. You can prevent them from being able to do this by using blinds or net curtains. Bushes outside a window or a high hedge aren’t recommended as these can have the adverse effect of being easy to hide behind, making it easy to break in undetected. If you have high hedges or lots of bushes outside your window, consider trimming these back. Don’t leave out barbecues and lawnmowers where they can be seen by peeking into your garden. Lock these valuables away in a shed so that burglars don’t know you own them. Make sure your shed door is secure, as this can often be another weakness for burglars to exploit. You can often trick burglars into thinking you’re a difficult target. Dummy CCTV cameras can sometimes be enough to scare off thieves. A ‘beware of the dog’ sign, even if you don’t have a dog, could also make burglars think twice about breaking in. Other deterrents include leaving a light or TV on in your home when you’re not there. Burglars are now using social media to find their victims. Posting up holiday snaps and updates can be risky as it could show that no one is home. If you are going to post photos and updates, you might be better off posting them once you get back. Nothing is more important than the safety of the people inside of your house. Scaring away thieves before they even think of doing anything is optimum for your home security.